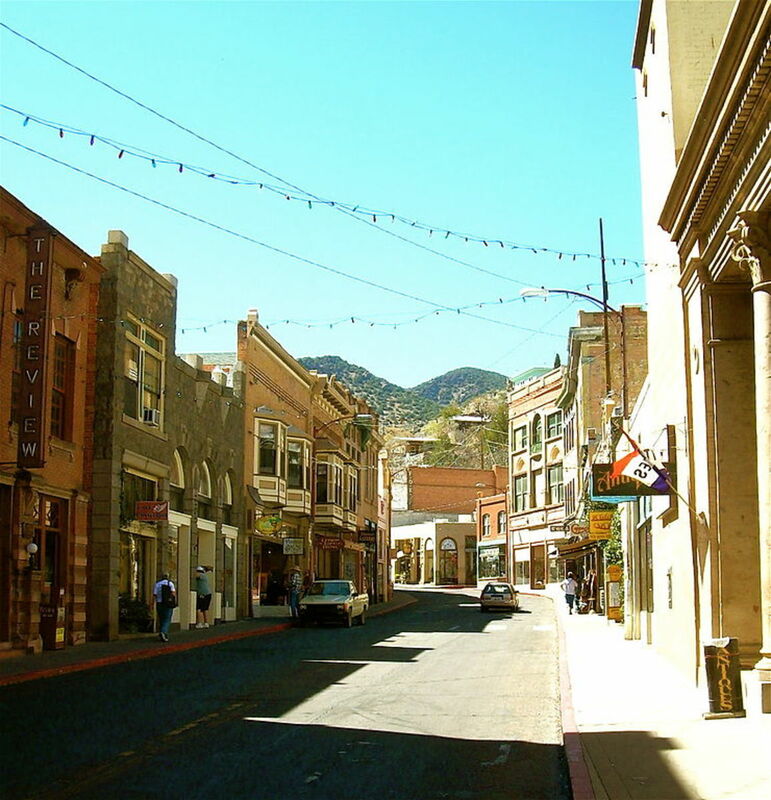 Bisbee, in Cochise County, Arizona got its name from an investor from San Francisco, Judge DeWitt Bisbee. While it's not a complete ghost town, still having inhabitants, it gives you the feel of being a ghost town at times. 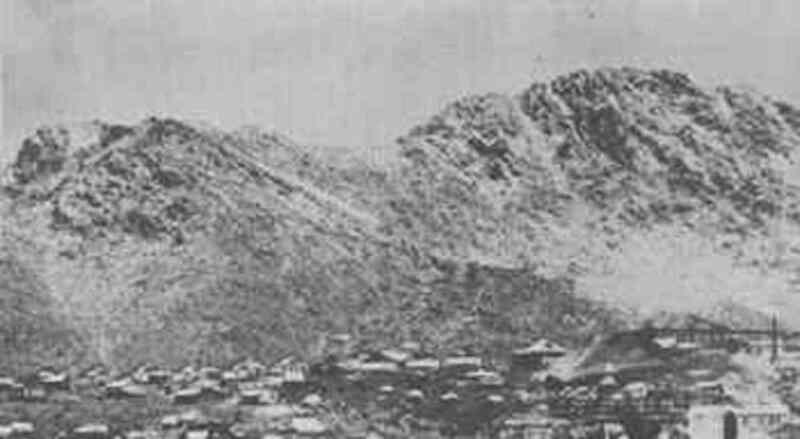 Mining in Bisbee more or less got its start when John Dunn found veins of copper in the Mule Mountains. So he had a friend, George Warren, stake a claim on his behalf and work the mine for a share of the copper profits. This was because John Dunn was in the army at the time. Not long after, George Warren told people he knew about the mine and then went on to buy claims also. Some of them bought up parts of the claims that John Dunn already owned. So after John Dunn was able to visit his claim, he found out about this. Upset by this information, he sold his claim for around $4,000. Later on, George Warren put his claim upon a bet that he'd win a foot race, which he lost. That claim became well-known. It received the name "Copper Queen" since it produced millions in copper mining over decades. The mine ended up closing in 1975. Bumble Bee began as a U.S. Cavalry outpost in 1863 and, not long after, developed as a stagecoach line stop. In 1879, the town also had opened its own post office. The town itself didn't thrive as mining opportunities were almost non-existent in the area of the town. Most of the mining was in the form of "placer mining." The deposits of gold, given the method needed to mine the gold, turned out to be too expensive for any of the settlers to do. The town survived for a while after that but, by 1930, the town was a ghost town. The buildings left on the site of Bumble Bee now are a mix of original buildings and reconstructions. Many of the reconstructions were from failed tourist-attracting endeavors by previous owners. John Henry Cordes formed the town of Cordes, in 1883, after buying the stage station there. Being near Antelope Creek, he looked to call it Antelope Station but the name was already taken. So he went with naming the town after his family name, Cordes. The outpost found success in that it provided supplies and banking for miners coming to the area. Later on, the town provided services to sheep drivers moving their sheep to seasonal ranges. As for it turning into a ghost town, the post office ended up closing back in 1944. The town itself closed in the 1950s after the Black Canyon Freeway bypassed the area. So the Cordes family built a gas station and restaurant near the freeway and called it Cordes Junction. The gas station shut down in 1973 and it is still there today along with a house, some old cars, and a barn. It's said that some of the Cordes family still lives on the site. Cleator was another unsuccessful gold mining town. After it's founding in 1864 it was originally known as Turkey Creek or Turkey Creek Mining District. By 1869, the town had opened its post office but the town didn't fare so well and ended up abandoned until 1901. 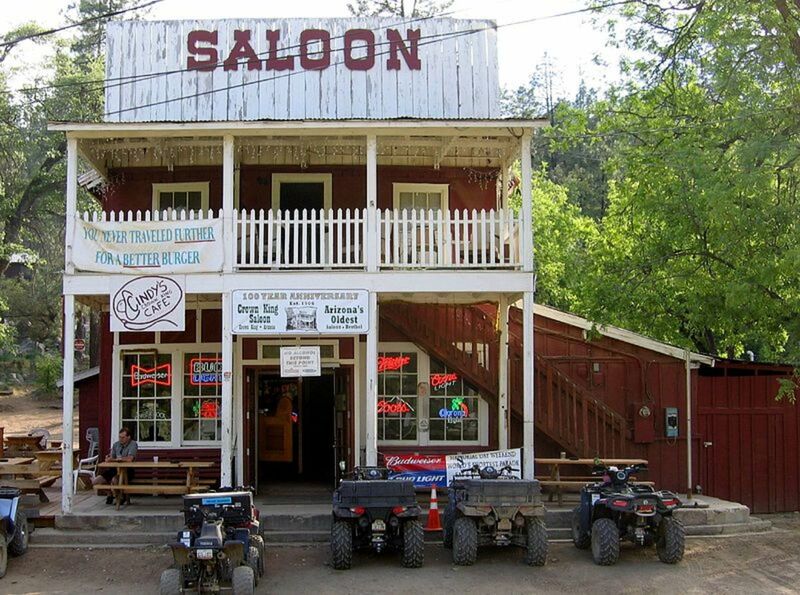 That is when Levrett P. Nellis took it upon himself to build a saloon and store on the land. He also reopened the post office. After the railroad came through the area it gave a little boost to the town. When James Cleator bought the town from Levrett Nellis and, a decade later, he renamed the town after himself around 1925. Throughout the rest of the 1920s, the town's population began to shrink and mines started to close up. James Cleator ended up putting the town up for sale around April 1949. His son Thomas ended up buying the property and he ran a small bar there for decades. Thomas died in 1996 and the property was handed down to his sister Eleanor and her son. They now run the bar. Many of the original buildings of the town are still there. They include the old school, the store and many other buildings. The 'ghost town' of Chloride got its name from when a discovery of silver chloride ore was made in the area in the 1860s. Only a few years later, by 1864, the town and its mining operations became more active. By 1873, the town got a post office. In 1900, the population of Chloride was over 2,000. Yet, by the 1940s the mines were beginning to close down and residents began to move out of the town. Although, of course, many residents stayed in the town and it still has some residents today. The post office is still open as well and many of the original buildings are still there. In 1899, gold was discovered in the area of Goldroad by José Jarez (photo) and Henry Lovin. The two sold their claim in 1901 for $50,000 but, less than five years later, their claim was worth over $2 million. Goldroad developed not long after the discovery of the gold and it's post office opened in 1902. Millions of dollars in gold was made from mining operations in the area up until the 1930s. At its height, there were around 400 people living in the town, including Henry Lovin. Of course, in time, the gold mines began to produce less and it became a ghost town once the post office closed on October 15, 1942. The town officially dissolved in 1949. What's left of Goldroad today are mainly remains of the old stone buildings. In the 1880s, Cochise got its start as a water and fuel stop for the Southern Pacific railroad. In 1882, a railroad official constructed Cochise Hotel for housing the railroad workers. It also included an office for Wells Fargo. By 1886, the town's post office opened. Local mining and ranching began to grow and their population grew to around 3,000 people. As of now, though, there are only around 40 inhabitants in Cochise. What remains of the ghost town are many historic buildings. Which includes the post office, the church, the Cochise Hotel and a schoolhouse. Courtland became a town in 1909 after many mining companies began operating the area. They began mining for copper ore in the Dragoon Mountains. The town developed in no time and, soon enough, it had 2,000 residents. The town lasted up until the Great Depression hit. Though residents began leaving in the early 1920s. The post office closed in 1942. At its height, the town of Courtland had plenty of businesses and attractions. Which included a movie theater, ice cream parlor, a newspaper, a store, and even a car dealership. There isn't much that remains of Courtland today other than remnants of the store, a hotel, the jail and a building foundation. 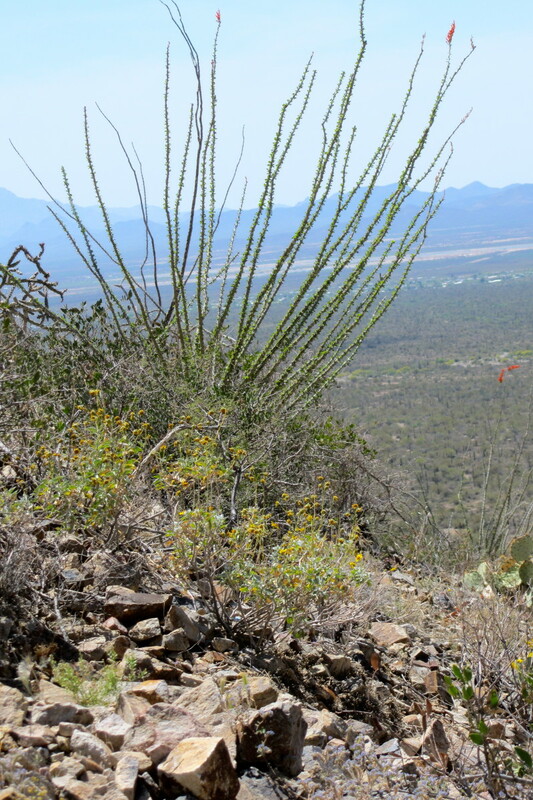 Cochran got its start as a mining community in the late 1800s near the Gila River. 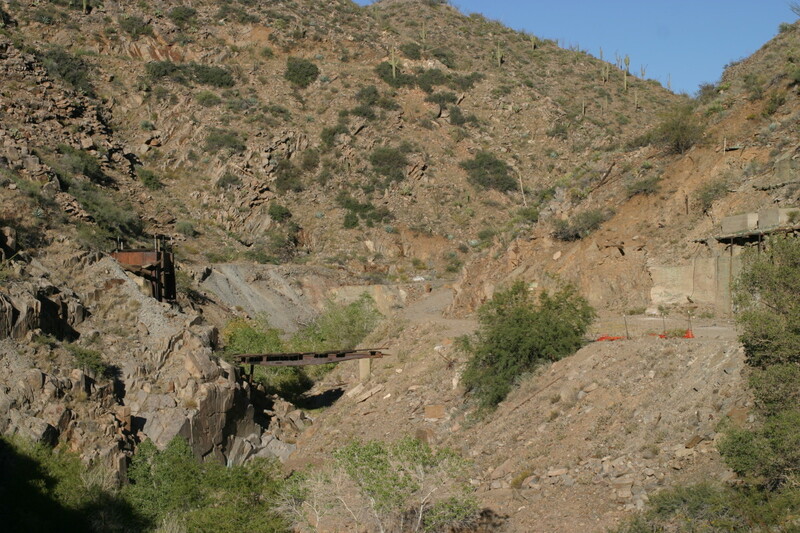 By 1882, The Pinal Consolidated Mining Company began to develop the area. Soon enough it also became a stop on the Phoenix, Santa Fe and Eastern Railroad which led to the small growth of the town. By 1904, Cochran got its post office and took on the name from its second postmaster, John S. Cochran. At its height, the town had somewhere around 100 residents, a few businesses, a mercantile and a rooming house. The town was short-lived though and the post office close in 1915 and the town soon followed. Today, not much is left of the town except for some foundations and its nearby five kilns. Klondyke opened in 1900 by miners who returned from Alaska and the Klondike gold rush. 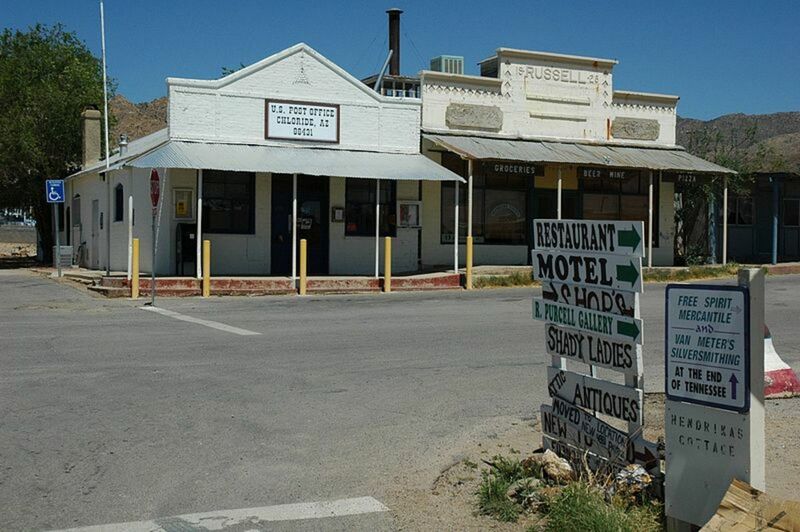 Which, of course, is where this ghost town's name comes from. The miners didn't find any gold on their claims but did find silver and lead. The first buildings built in Klondyke were a store and a saloon. A few years later the store ended up burning down and its owner, John Greenwood, built a new one out of adobe. He also placed the post office inside the store. In the town, there was also a school and a church. At its height, the town had around 500 citizens but the population declined and by 1955 the post office closed. Still standing today is the general store that is still in operation and the school. Congress was born in 1884 when Dennis May discovered gold in the area. By 1893, there was a railroad completed in the area and the station got the name Congress Junction. The rail extended to connect the junction to the town of Congress itself (and closer to the mines). The mine kept producing until the mid-1930s. From there, people began to move on and the town's post office closed and relocated to Congress Junction. Not much survives of the old town of Congress. What's left is the Congress Mercado and two cemeteries, Congress Cemetery and Pioneer Cemetery. Vulture developed at a gold deposit at Vulture Peak in 1863. A gold and silver discovery was made by Henry Wickenburg. He was one who came up with the name of the town after naming his claim Vulture. At the town's height, there were around 5,000 residents. Some of which who helped form the nearby town of Wickenburg. The town prospered into the 1890s but ended up closing their post office in 1897. The site did produce gold and silver ore, at far fewer amounts, up until 1942 until mining operations there ended. 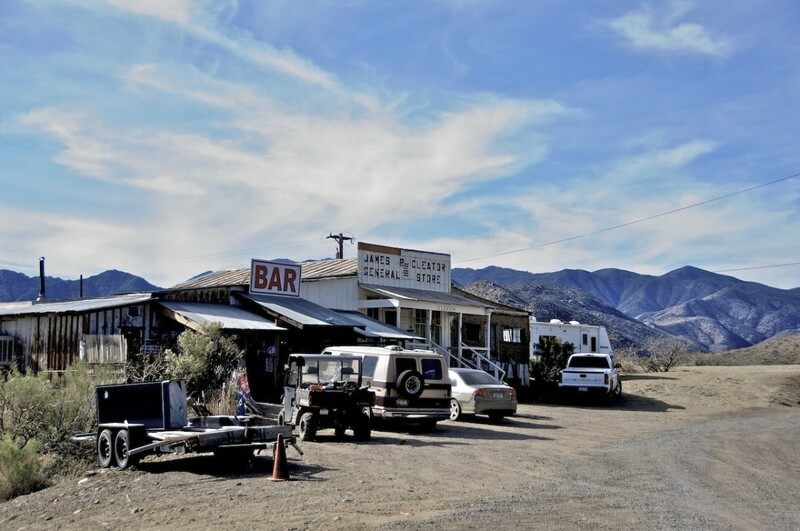 It's said that Vulture is one of the best ghost towns. Still-standing buildings include schools, an assay office, apartment housing, houses and a blacksmith shop. Small mining operations began in Copper Creek in 1863. By the 1880's, the mining in the area began to grow and soon enough the town had over 200 residents. 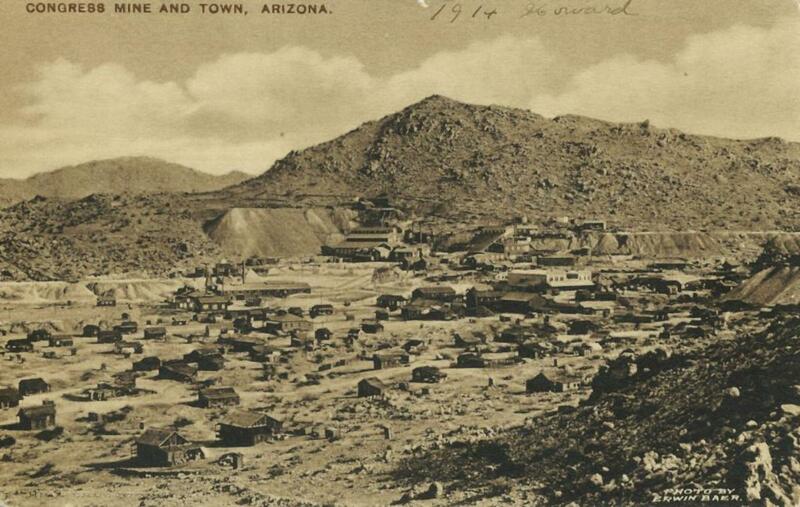 In 1900, the manager of Minnesota Arizona Mining Company, Ron Sibley, moved to Copper Creek. Under himself and his mining company, he bought all the claims at Copper Creek. After the post office opened his wife, Belle, become the first postmaster of the town. In 1908, they had a 20-room mansion built in the town. They only lived in it for a couple years before leaving Copper Creek. By 1917, all the mines closed down. There was a short revival of the mines in the area when, in 1933, the Arizona Molybdenum Corporation opened some of them up. Yet, by 1942, they stopped operations and the post office closed not long after. What's left of the town today are remains of the mansion, a store, the post office and a town sign. 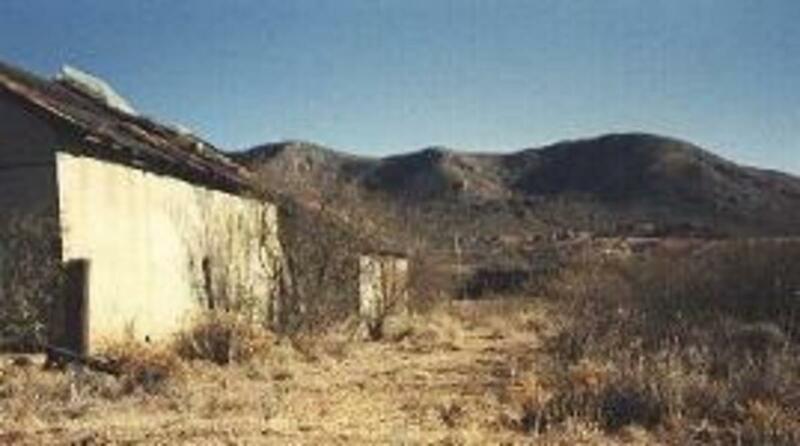 Around 1870, gold was discovered in the Bradshaw Mountains. Which led to the creation of the town of Crown King. The town is still active as a tourist stop with active businesses. After the closing of the mines in the 1950s, tourism has been Crown King's main income. At the town's height, there were around 15 claims owned by miners. Also, the town had somewhere around 500 buildings, a few restaurants, and a post office. The town had electricity and a telephone at the time, in 1897. What's left of Crown King today is a school, a saloon, a restaurant and a cemetery. Walker's start can be traced to a small fort built Captain Joseph Rutherford Walker. Some men from the fort were exploring the area and came across gold in a stream near the fort. As they explored more, they found even more gold in the hills around Walker. They made a choice to move the fort closer to the site of the gold and named the town Walker, after the Captain. A post office was opened in 1879 and a kiln was built to smelt the gold ore. By 1940, the mining ended and the post office closed. 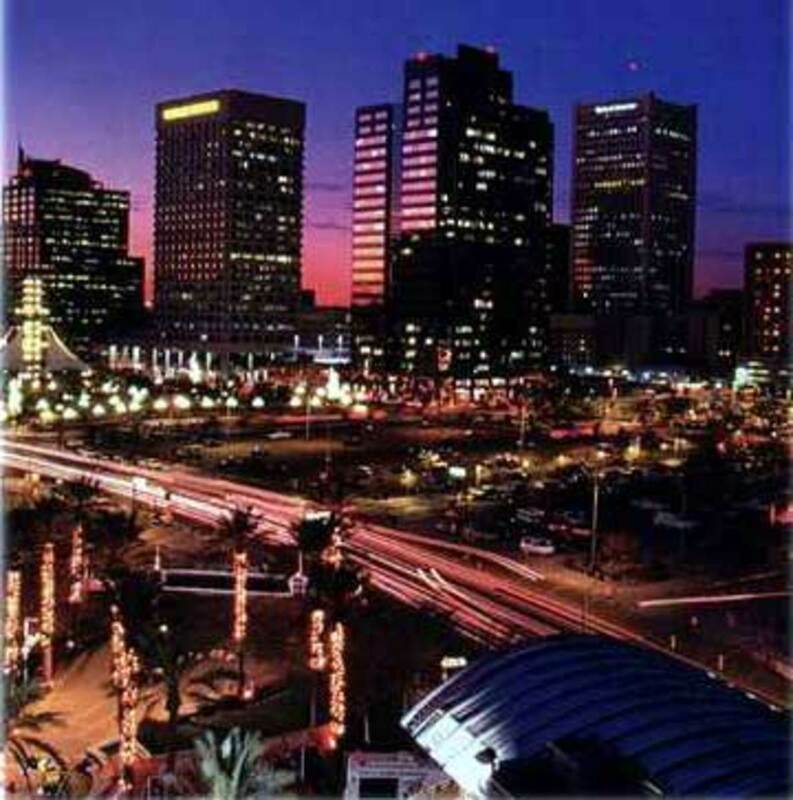 At its height, Walker had around 2700 residents and many buildings and businesses. 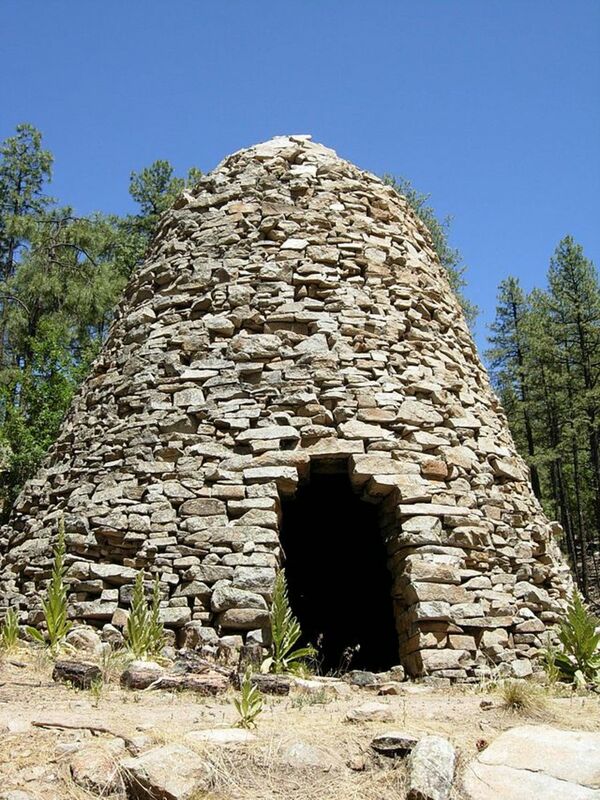 Today, the area is little more than a pine forest and all that's left of the town is the kiln. Dos Cabezas began as a stage station in the 1860s, built near the Ewell Spring. It was also a stop on the Butterfield Stage Lines. By the late 1870s, gold and silver mining in the area was getting its start after the discovery of the metals in Dos Cabezas. From there, the town grew and took on the name from the Dos Cabezas mountains near the town. At its height, the town had around 300 residents and many businesses and buildings. By 1960, the post office had closed. As for today, there are a few buildings still standing in varying states of decay. Eden started as a farming community, founded by Mormons, sometime in the 1880s. The town itself is named after one of their settlements in Utah. Unlike other ghost towns, its start wasn't rooted in mining. At the time, Eden had a post office, a church, many homes, businesses and a post office. These days there are only a few buildings still standing on the location of the town. The Eden store still survives and the walls of the mercantile are still standing too. As is the adobe, the "Eden Ward (bishop) Church", and the post office. Fairbank's formation came about when a section of the Arizona-New Mexico Railroad was constructed through the area. The town itself was named after Nathaniel Kellog Fairbank. He founded the Central Mining Company in Tombstone, Arizona. Its post office opened on May 16, 1883. The town had three tracks, one headed to Tombstone, one called the Douglas-Benson Line and one headed to Bisbee. The town operated as a supply hub and, at its height, the population never went any higher than around 100 people. The town had a quartz mill, a butcher shop, restaurant, saloon, a store, railroad depot and a few other buildings. The post office ended up closing in the 1970s. Some of the town's buildings still exist on the site today. These buildings include the general store, post office, the schoolhouse, a saloon, a few houses and other structures. Sunnyside began as a religious community founded in the 1880s by Samuel Donnelly. Who, after being a heavy drinker, reformed himself, became a preacher and left San Francisco for Tombstone. Then he moved on to Sunnyside with his followers from Tombstone. Most of his followers worked in the mines at Sunnyside and stood by Christian morals. As such, there were no saloons or brothels in Sunnyside. Being a commune, the people of Sunnyside contributed according to what their talents were. Samuel Donnelly died in 1901, but the group lived on for a couple years, until 1903, when most of the citizens left, except for one man. In 1912, the town had a short life as a ranching community. The mines ended up closing in 1932 and the town was sold. Today, Sunnyside is located on private property marked with no trespassing signs. The town of Gleeson began as a settlement called, "Turquoise" in the 1880s. In 1890, the town got its first post office and due to a discovery of gold 11 miles north or the town (at Pearce). After that, in 1894, the town was abandoned and the post office was closed. Yet the town didn't stay abandoned for long. In 1900, a miner of Irish descent from Pearce, John Gleeson, was prospecting near Turquoise and found some copper ore. It was enough of a discovery to bring the town back. Although it moved closer to the nearby hills where a water supply was more available. The post office opened back up this same year and the town now went by Gleeson. In 1912, a fire burned down 28 buildings but they were all rebuilt. As World War I came around the mines in Gleeson saw an uptick in demand. Like many mines at the time, the copper went towards supplying the war effort. By the 1930s, the mines began to produce less and the demand needed for the war was gone. All the mines closed and the post office followed in 1939. 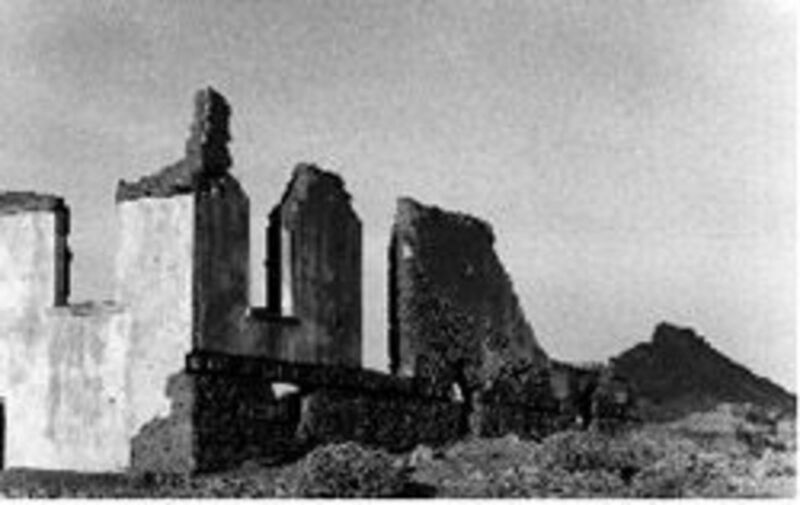 As for remaining buildings, some of which are in ruins, are a saloon, store, school, hospital, jail, a cemetery, and many adobe buildings. 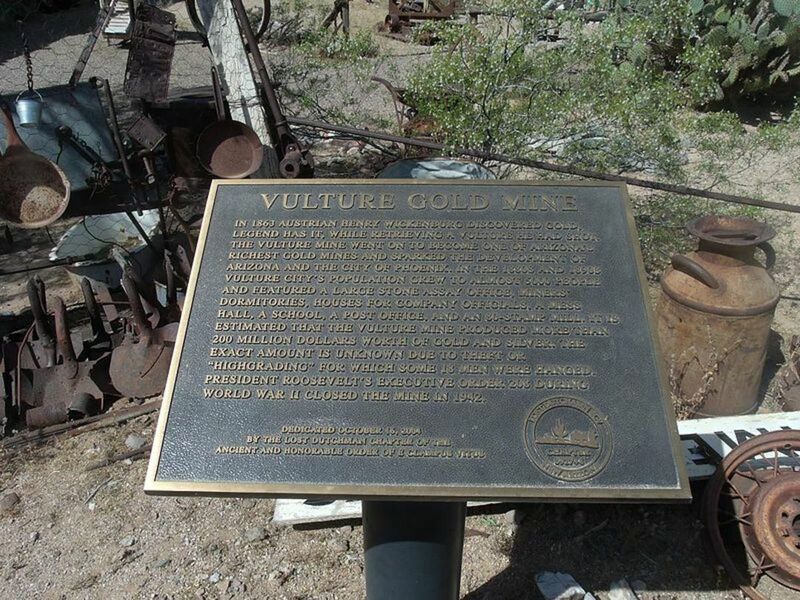 Goldfield got its name for the many gold mines in the area. 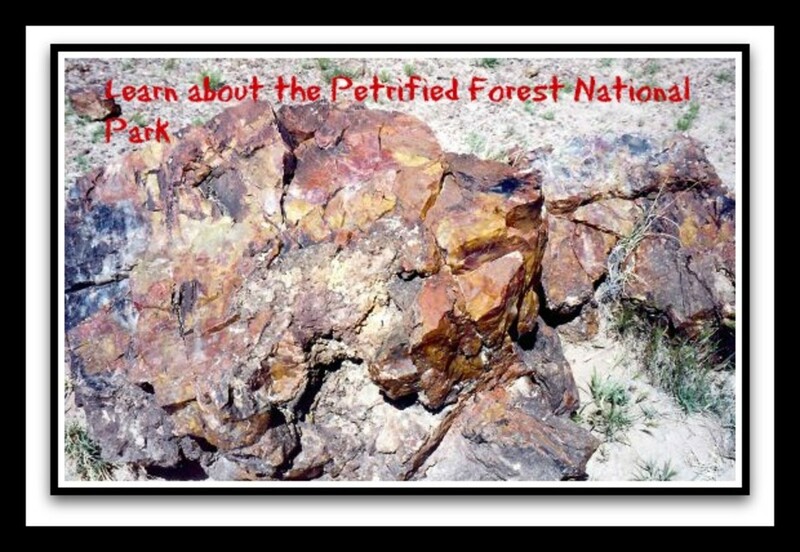 Low-grade gold ore was discovered in the area in 1892 and by 1893 Goldfield became a town with a post office. But by 1897, the gold was mined out the best it could be using methods used back then. The town was quickly abandoned and the post office closed by 1898. Only a few years later, in the early 1900s, a man named George U. Young came into the area and mined a bit of more gold using new methods. The town came alive again, only going by Youngberg this time, and a cyanide plant and a mill, among other businesses, opened up. The new post office opened on March 15, 1920. But success was short-lived. By 1926, the town was, yet again, a ghost town and the post office closed on October 30, 1926. Today, the town is a tourist attraction, under the original name of Goldfield, with a replica of a mining town on the site of Goldfield. Jerome roughly began in 1876 after a copper deposit was discovered by Morris Andrew Ruffner. He filed a claim but found that the copper was in too remote of an area for him to make it profitable. He went on to sell his claim to a man named Eugene Murray Jerome who had an interest in the deposit since a new railroad was just finished in the area. 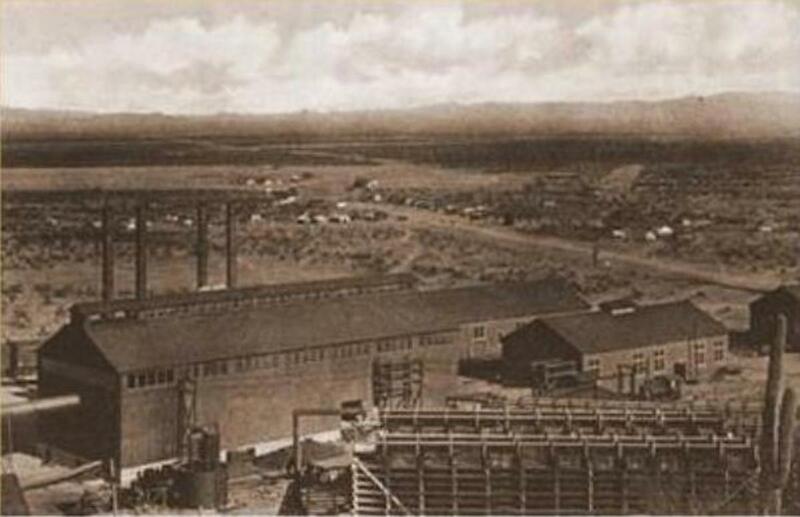 Eugene Murray Jerome's operations in the area were done under The United Verde Copper Company. The United Verde Copper Company was sold to a man from Montana named William Andrews Clark. With his acquisition, he became the wealthiest man in Montana. Underground mining ended in Jerome in 1894 after unexpected complications with the mines. So they switched to pot mining. 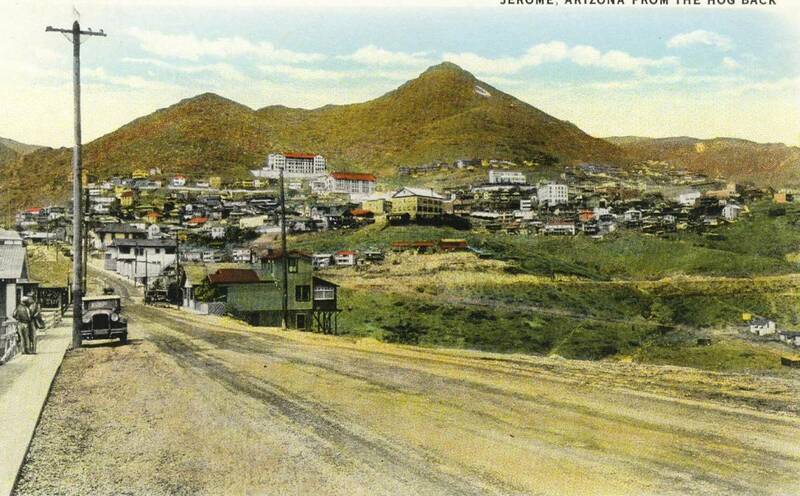 By 1900, Jerome becomes the fourth largest town in Arizona and the copper mines produced ore up until 1953. Today, Jerome is a great stop where many of the original buildings still survive or were restored. It looks much like it did way back in the 1900s. Oatman began when Ben Taddock (Paddock) discovered gold on the ground as he walked down a trail. Mining began to develop in the area and, in 1905, the Vivian Mining Company bought up the claim to develop the mines further. Two years later, in 1907, more than $3 million in gold had been mined from the mines. In 1908, another mine opened close by. The town, originally going by Vivian, was renamed Oatman in honor of a woman, Olive Oatman. She was known for being abducted by Yavapai Indians. By the time of the town's renaming, the population of the town was around 10,000. By the 1930s, the mines closed down. After the mines closed, some of the miners let their mules go in the mountains. 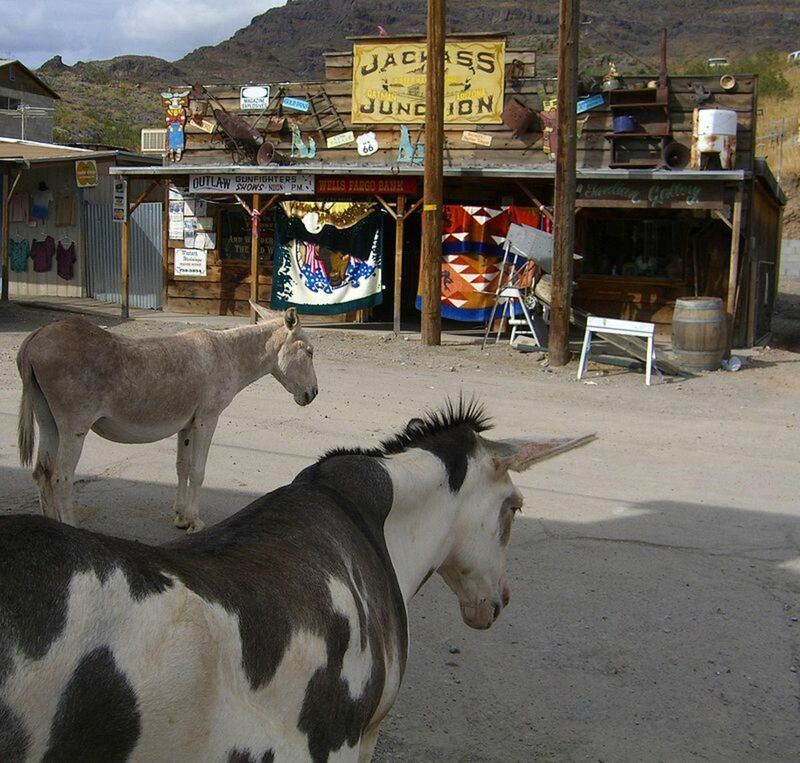 The mules' descendants still roam the area and the streets of Oatman today. The town is a great tourist stop with many activities and buildings on the site. Stanton, Octave, and Weaver, Arizona were all founded around Rich Hill. This was after the well-known Pauline Weaver and his group of men arrived in the area. One of his men, Alvaro, climbed a hill and discovered a one-acre basin that had gold nuggets everywhere. Some were the size of potatoes. From there, that hill became known as Rich Hill. Pauline Weaver and a friend also discovered a similar 'gold field' on Antelope Hill. The towns of Stanton, Weaver, and Octave all popped up in the area of the gold find. Today, not much is left of the towns and the area of Stanton is used as an RV park. The town of Pearce was named after miner Jimmie Pearce who arrived from Tombstone and bought up ranch land in the early 1890s. In 1894, when exploring the area, he discovered gold and became active again in mining. He became an owner of a mining business and mined the Commonwealth Mine. Not long after his discovery, the town of Pearce began construction near the claim. That same year a general store was built. In 1903, a railroad station opened up and the population began to grow, reaching 1,500 residents by 1919. But by the late 1920s and into the 1930s the town began to decline and was just about a ghost town by the end of the 1940s when the mines closed. As for structures still existing today, the general store and a church still exist. They are a part of the National Register of Historic Places. There are also a few other buildings standing and ruins of a few other buildings on the site of the town. Mining began in Ruby, originally called Montana Camp, in the latter 1870s. The metals mined consisted of lead, silver, copper, gold, and zinc. In April 1912, a store owner, Julius Andrews, opened up a post office and named the town after his wife. The following year a man named Philip Clarke purchased the general store from Julius Andrews. The town of Ruby was a dangerous place due to the routine raids by revolutionaries and bandits from Mexico. When Philip Clarke owned the store he had guns in every room of the store. In 1920, Clarke leased the store to two men, John and Alex Frasier, and gave them the advice to stay armed to defend themselves. But within two months both of them were killed in a robbery. One of the robbers in that incident was killed, after killing a deputy, and the second guy escaped. Not long after the robbery, a man named Frank Pearson purchased the store from Philip Clarke. Again, there was a robbery and Pearson and his life were killed by seven bandits as they robbed the store. From 1926 until 1937, mining in the area was quite successful and provided a lot of metals from the mines. By 1940 though the mining came to a halt as the ore was gone and by 1941 the town of Ruby became a ghost town. Today, Ruby is one of the best-preserved ghost towns. It has around 25 buildings still existing. Which includes old houses, the old school, its playground. There is also the jail, mining machinery from the time period and many other buildings. The town is located on private property and charges admission to see it. 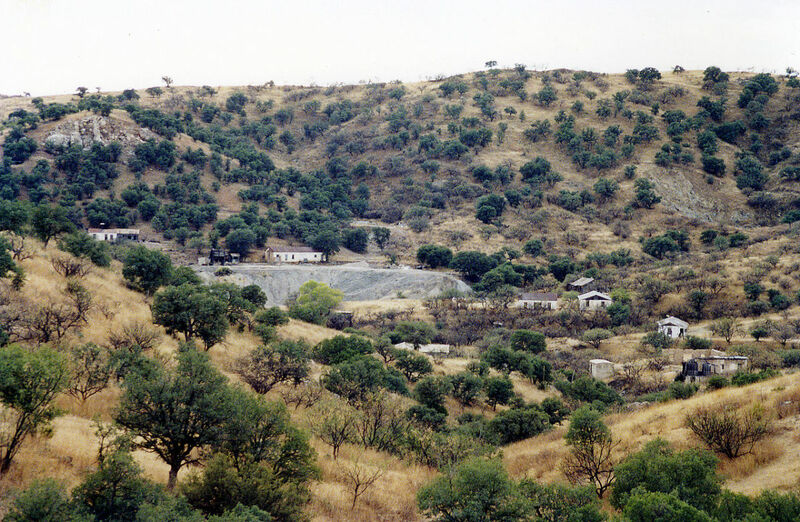 Sasco was a smelting town for the mines of the Silverbell area. The name of the town comes from the Southern Arizona Smelter Company. It differed from other towns as it was owned by said company, Sasco. 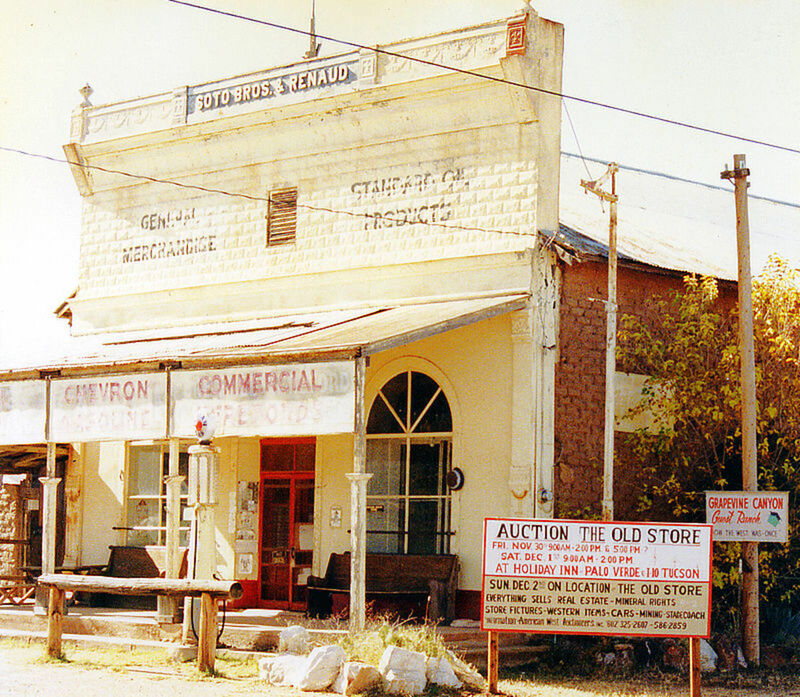 At its height, Sasco had about 600 citizens and a post office from the years of 1907 until 1919. There were also a few saloons and stores. In 1915, Asarco took over the mines but ended up closing the Silver Bell mine in 1921. By 1933, most of the buildings had been demolished and the railway was gone from the area. Today, some of the remains of the buildings are still there. Mining around the Swansea area began in the early 1860s. But it wasn't initially successful because of its remoteness and its distance from the railroad. Also, the mines only contained copper and small amounts of silver. So, early on, the area wasn't developed as it was economically unviable at the time. But in the 1890s things began to change as the price of copper went up. But the remoteness of the mines was still an issue. In 1904 a new rail was built near the area of Swansea and the claims in the area had been bought up by the Clara Gold and Copper Company. The individual who took leadership in the town, and gave the town its name, was George Mitchell. George Mitchell gave the town the same name as his 'homeland' of Swansea, Wales in the UK. He helped get plenty of investors in the Clara Gold and Copper Company. Especially since he was very knowledgeable and, being a good talker, sold the investments well. Swansea had success, to an extent, and its post office opened in 1909. From there the town officially became Swansea. In time, Swansea had theaters, saloons, restaurants, and even a car dealership. But the local economy was well-suited enough to support all these businesses. By 1911, the Clara Consolidated Gold and Mining Company was having financial problems. The company ultimately collapsed in 1912. After the company collapsed, the mines also closed down. A new company took over in 1914, the American Smelting and Refining Company, and started mining up again. George Mitchell then ended up leaving the town in 1916. As for the mining in the town, the mining operations continued not long after World War I when copper prices dropped. 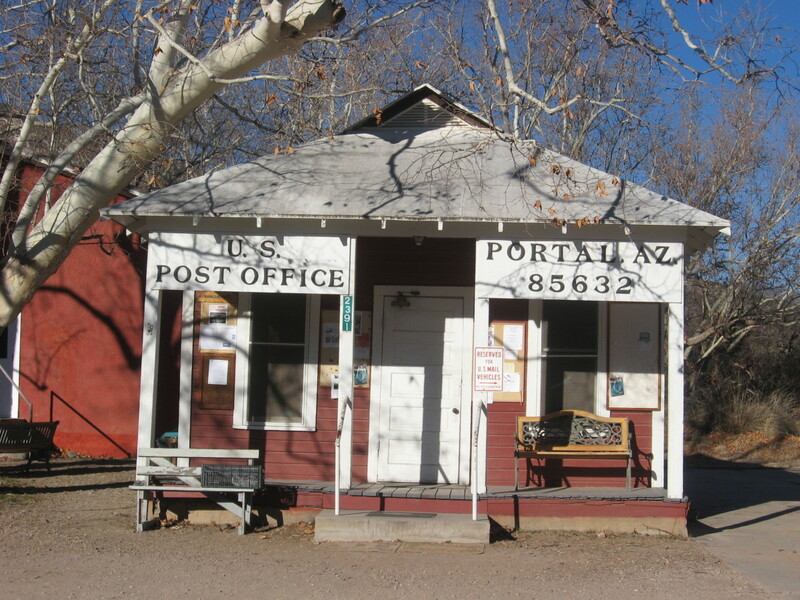 The town stayed in decline and the post office closed on June 28, 1924, and the town was abandoned. By 1937, the last of the smaller-scale miners left the area and the mines shut down completely. By then though Swansea was practically a ghost town already. What remains of the town today is the smelter, miner's quarters and what remains of the train depot. 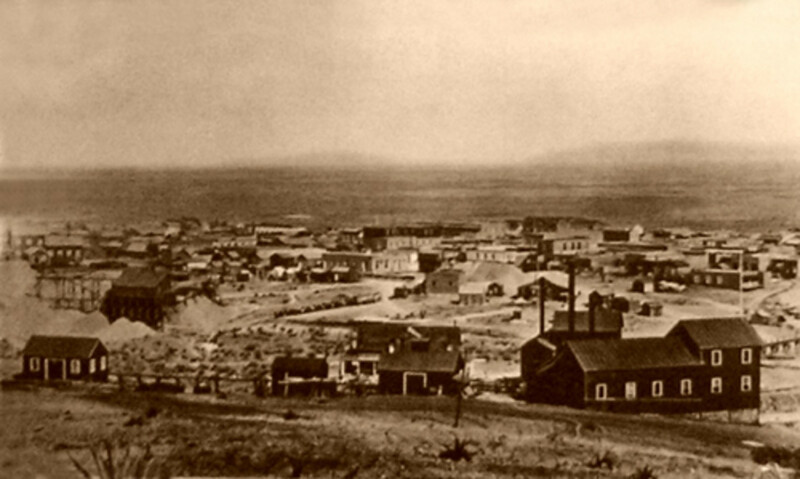 The town in 1879 after the founder, Ed Schieffelin, discovered silver in the hills. He named the town Tombstone because of the dangers of the area. Mainly from the Apaches who controlled the area. Despite the dangers, the town of Tombstone was built around the hills and the claim. Between the years of 1880 - 1886, at least $40 million worth of silver came out of the mines. In less than a decade, the population of Tombstone grew to 15,000 residents. At its height, Tombstone had four churches, a bowling alley, a school, many saloons and other buildings and businesses. Today, a good part of the buildings from the 1880s still exist. Buildings that include the city hall, the courthouse, the O.K. Corral, a newspaper building, a fire station, among others. I didn't know there were so many ghost towns in AZ. I live in Japan. More and more small towns are withering away because the young people are headed toward big cities like Tokyo.